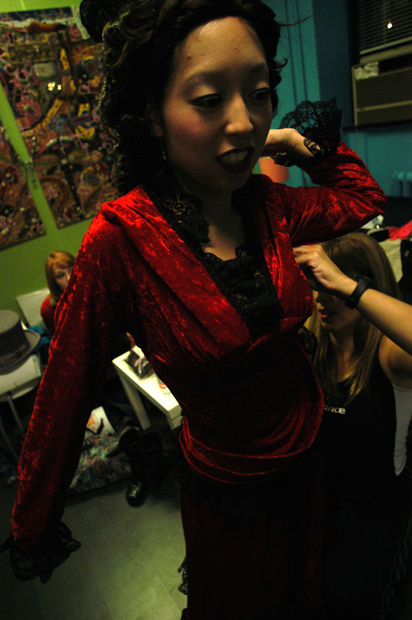 Jeanette Lee gets ready for her role in the Corcoran's student lounge before a fundraiser at the gallery Friday. Lee and other players from Motion Mania Dance Theater, Gaithersburg, Md., will be mingling in costumes that reflect the period and specific characters from Impressionist paintings. The characters will add yet another dimension to Seward Johnson's Exhibit, Beyond the Frame.